Functional Works site is alive. Summer of F# in Paris! Early bird registration for Paris ’14 is open. CloudSharper 0.9.10.2 is released: Mono support, VS-compatible solutions, NuGet packages and more! Visual F# accepted pull requests ‘make possible to set breakpoint inside quotation‘ and ‘performance improvement for seq.windowed‘. F# support is now included by default in Xamarin Studio, no external add-ins are required. Ross McKinlay presented a transactional ETL procedure from Excel to SQL server, using only the SqlProvider! New F# User Groups map was presented. Check FsBlog (Blog aware, static site generation using F#) if you missed it. 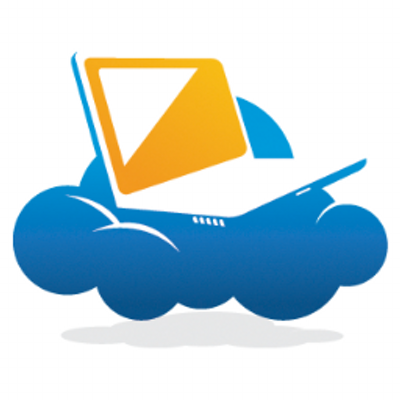 Try FsLab Notebook right now and share you thoughts. Santa Monica F# User Group was presented. Andre Pemmelaar showed F# repo popularity by region. New Visual F# PowerTools feature was presented: Record stub generation. 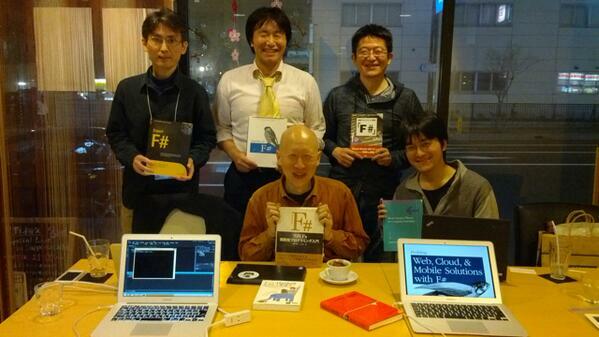 FsUno (Event sourcing implementation sample in F#) was presented. Jb Evain shared a sample of F# Active Patterns for Roslyn’s C#’ AST. Tomáš Petříček: Data science with F#. “F#’s Type Providers: The future of meta-programming in .NET” by Robert Pickering. “F# Data: Accessing WorldBank data” by Tomas Petricek. Jamie Dixon posted “Association Rule Learning Via F# (Part 1)“. Evelina Gabasova blogged “Who’s the most central? F# network on Twitter“. 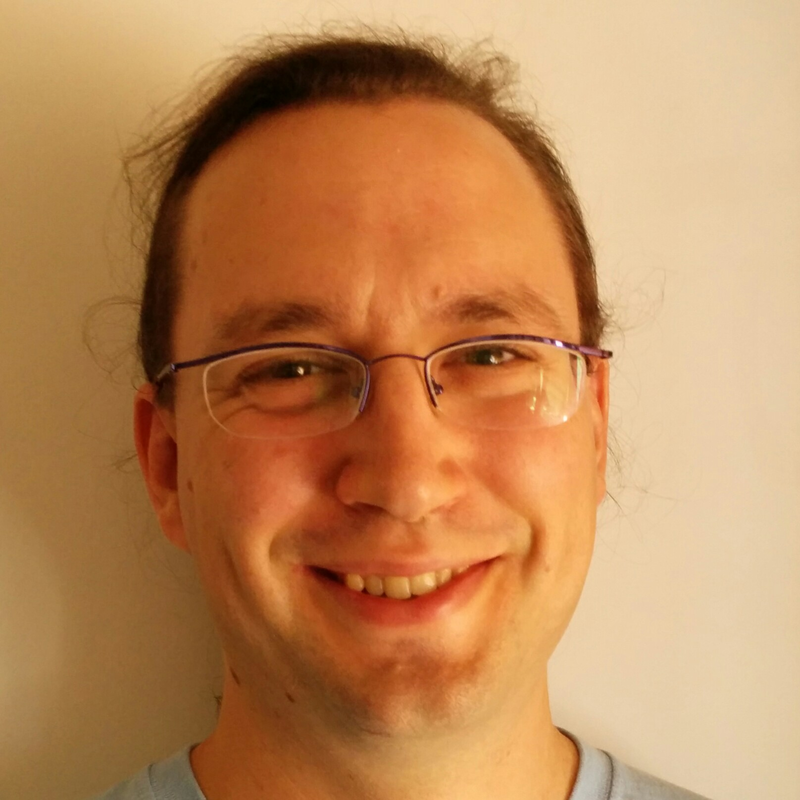 Tomas Petricek wrote about “Stateful computations in F# with update monads“. James Conway posted “Will F# ever be a first class citizen?“. Mauricio Scheffer wrote about “Mapping objects to JSON with Fleece“. 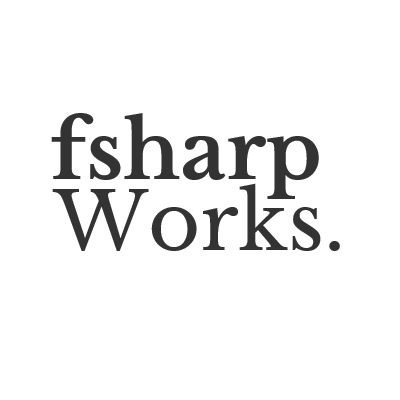 Adam Granicz blogged “Program F# with CloudSharper everywhere“. Ross McKinlay posted “CRUD Operations and Experimental ODBC support in the SQLProvider“. Richard Dalton wrote “Why I Study Functional Programming“. Mike Harris blogged “Property Based Testing with FsCheck“. 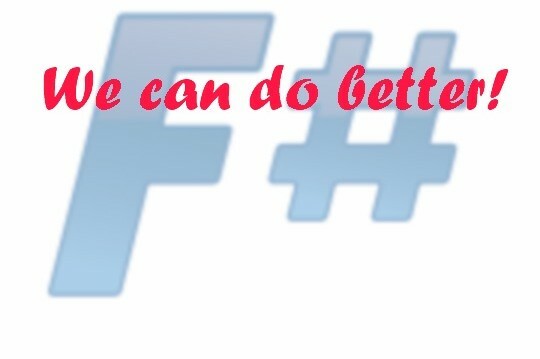 Let’s get F# a new logo! Project is underway. Help us by giving. MyGet build services support F# from now! Evelina Gabasova presented F# Data Toolbox (A library for various data access APIs based on FSharp.Data) and the first package with Twitter type provider. Any suggestions for other data source-specific APIs? All Stanford.NLP .NET packages were updated on NuGet to support latest IKVM.NET. Json.NET 6.0.3 has better F# support! Http.fs is now at v1.0.0! Check out “F# Programming” wikibook. Do you have academic publications which use, extend or are influenced by F#? Please add them to “Publications related to F#” section of fsharp.org. Where are the F# jobs? Functional Programming and Game Development? It can be done! Do not miss Special Xamarin licenses for OSS contributors: “for developing, testing, and maintaining compatibility”. QuantAlea submitted an open source pull request to allow debugging information in GPU-code quotations. Bryan Edds showed fpworks – Repository hosting the open-source game OmniBlade, and related projects. Bryan is looking for a new project to use his F# NuGameEngine for! If you/your company have interest & resources, let him know! Ross McKinlay showed InteractiveProvider – A type provider abstraction for all your gaming needs. Victor Baybekov showed Fredis – Dead simple API for POCOs persistence, cache + Redis based distributed actors. “F#, Canopy and 2048” by Mathias Brandewinder. OddsTypeProvider by Juan M Gómez. Type Provider by Michael Newton. Mark Michaelis posted “A C# 6.0 Language Preview“. Ronnie Holm blogged “Using F# and FAKE to build a SharePoint provider-hosted app“. Lincoln Atkinson blogged “F# extension methods in Roslyn“. Ross McKinlay posted “BASIC’s 50th Anniversary … and more crazy F# type providers!“. Osman Öztürk published “Functional Programming with F#“. Steve Shogren wrote “Pattern Matching – Make the Compiler Work for You“. Jamie Dixon published “Microsoft Language Stack Analogy“. minfuk posted “Seq.unfold & Regex“. Check out Korporal Kernel’s blog and his Lexical Analysis With F# series. Paco Nathan posted “Just Enough Math“.